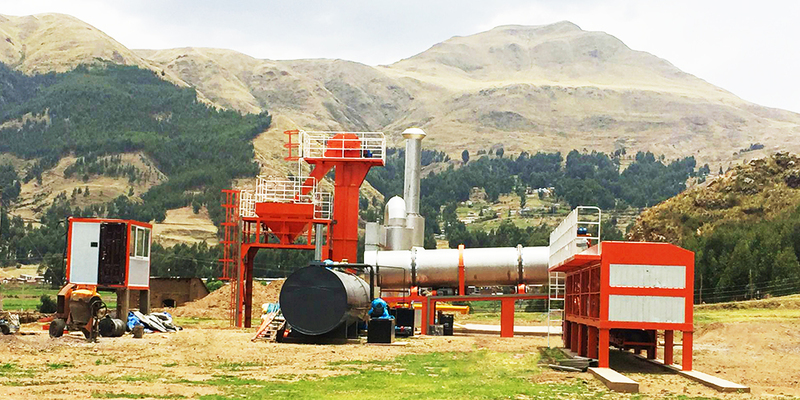 At June 2018, A brand new Asphalt Drum Mixing Plant DHB100 model, was installed and commissioning in South Africa country, Peru. This is the 6th Plant send to South Africa countries in 2018, since UNIQUE GROUP started pay more attention to South Africa market in 2017. Before that we had built lots of Concrete Batching Plant in Ecuador, Chili, Peru, and some other countries. DHB series is a Asphalt Drum Mixing Type, Mixing & Heating both in the Drum, without special Screening system and Weighing system, also no special Mixer. Can save much cost. DHB100 model get a 100tons/h productivity, and can be made Mobile type by plus Chassis. Contact us to get a best solution for your road project.